It’s easier to be consistent than accurate. In our every day lives we fall into patterns of behavior that encompass everything we do. These behavior patterns are consistent and can even be used to fingerprint us as individuals and help us identify those closest to us. Have you ever heard someone say, “That’s totally what Sarah would do?” or “You seem a little off, normally you are not like this?” Sometimes we don’t even see these behavior patterns in ourselves and rely on those around us who watch and observe us to help surface them to our consciousness. On the other hand it’s rather difficult for us to develop a high degree of accuracy in our behaviors. Malcolm Gladwell hypothesized in his book Outliers that it takes practicing over 10,000 hours for someone to master a skill with a high degree of accuracy. (That’s practicing 8 hours a day, every day, without break for almost 3.5 years.) Furthermore, how many people become virtuosos in a skill or field? Looking back on history we see few names who persist today in the field of music and architecture, though undoubtedly hundreds of thousands more practiced and even worked in these fields. 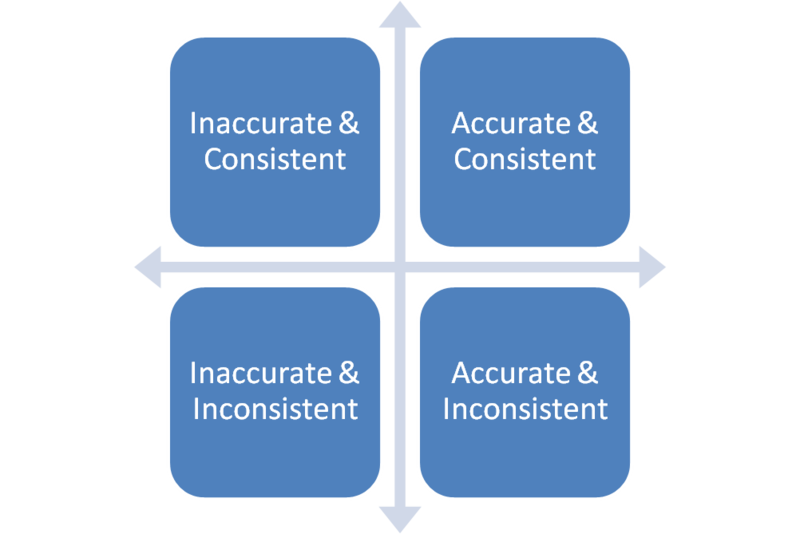 Why is it so easy to ‘slip’ into consistent behavior patterns and so hard for us to hone our skills to a high degree of accuracy? Why do some people stay in their consistent behavior patterns and others continue to grow and change? Furthermore, how can we switch from being a consistent actor to being a more accurate one? I believe people don’t often become accurate and successful people because they can only see down (until they look up.) Let’s take being a physicist as an example. You might imagine three levels of skill set: someone who has never learned about physics before in their life, someone who has taken several classes in physics, and someone who is a professor of physics. The person who has never taken a physics class may understand that gravity exists but does not know that in a vacuum both an apple and a feather will accelerate at the same rate. How could they? Why would they? Their behavior patterns do not push them to experiment with gravity as they did for Isaac Newton. The person who has taken physics classes and understands why apples and feathers accelerate at a uniform rate in a vacuum may not understand quantum field theory. This is how I say that people can only see down the skill curve and not up. Now imagine these three levels of physics knowledge stacked one on top of the other. 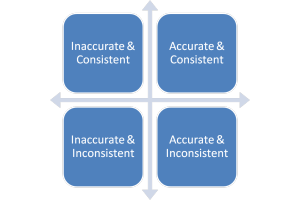 A person with a greater level of skill can identify inaccuracies that a person of lesser skill is making but they cannot look up and identify the inaccuracies that a person of greater skill than them may make. Now imagine that this applies to every aspect of life including ourselves as friends, co-workers, lovers, neighbors, and citizens. Parents talk to teenagers about being safe. Friends talk to friends about relationship patterns. Self help book sales are at an all time high. We call this progress but we are only stirring the mental pot, not learning how to really cook. In the argument of who was right Aldous Huxley vs George Orwell, the clear winner is Huxley who shows we are amusing ourselves to death. The first step to looking up, improving ourselves, and breaking free from the consistent pain we cause ourselves is to stop searching outside ourselves and start finding out individual strengths. When we do this be begin to realize that the only true guru is within. Sufficed to say, there is no one else who will ever been as good at being us as ourselves. This along does not change us from consistent characters to more accurate ones. No, to accomplish that we need one more thing. We need to look up the skill curve and observe what others do. Other with the sense of calm we desire, or others with the gift of gab that the introvert inside us wishes to attain, or other with the sense of guidance that we with disorganized minds would like to channel. Too often we observe others and try to follow them, but this is wrong. Only by looking up at the attributes and finding a way to implement them in a way that is our own can we more our consistent behavior in the direction of a more accurate path. Introspection alone can lead to a dangerous place, and following others results in the same. But imagine what can be accomplished if we combine the two. Now imagine how fast and far we can go with those plus my Three-Ds (discipline, determination, and drive). Being consistent enables us to operate in the world around us. Becoming accurate enables us to shape the world around us. Michael Dahn connects smart people, lives on the chaordic fringe, and builds communities. I define payment security & risk.